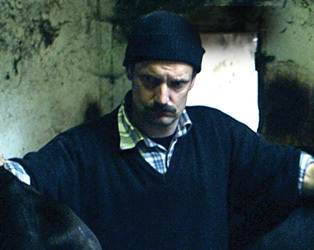 The evocatively named Pilgrim Hill – the feature debut from 24-year-old Gerard Barrett – imparts a compassionate view of withdrawn bachelor farmer Jimmy Walsh as he is confronted with a set of crises, all of which are beyond his control. With the help of a striking central performance from Joe Mullins, Barrett composes a complex, tender portrait of vulnerability which draws on the harsh reality of rural life, particularly within the context of a modern, often indifferent world. Winning several awards since its premiere last year, this film is nothing short of a triumph for its young director. The DVD of Pilgrim Hill will be available to buy in the IFI Film Shop from Friday, May 10th and to celebrate, we have 3 copies of the film to give away! Simply answer the question below before midnight, Thursday May 9th. UPDATE: As we’re experiencing some issues with the reporting system, stay assured we receive all your entries – thanks and apologies for any confusion!